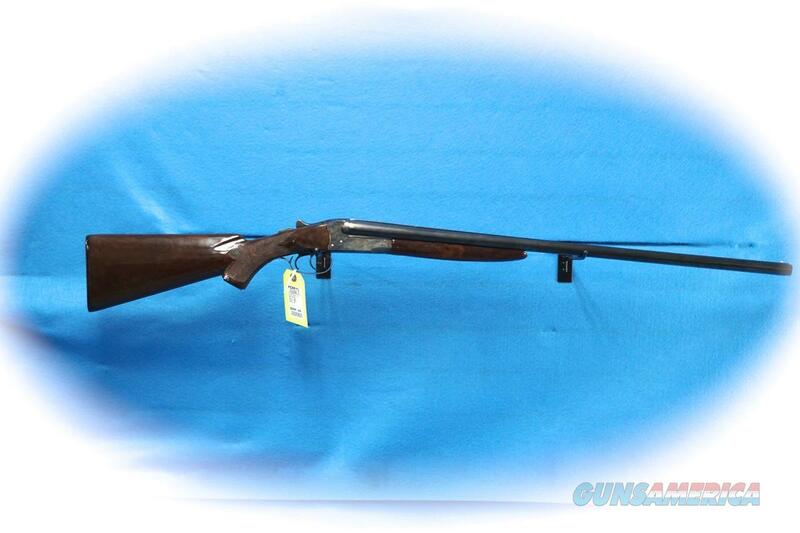 Description: Stevens Model 311 20 gauge side x side double barrel shotgun, 28 inch barrels, 2 3/4 inch chamber. This 20 gauge Steves has most of the original color case harden finish remaining, the trigger guard shows some paint flecks and the stock/forearm is plastic and most likely the Tenite stock that Stevens used prior to 1950/51. Based upon the date code this is a 1949 made Stevens 311 and thus has no serial number.